Private Landowner Tags: NO DRAWING!! 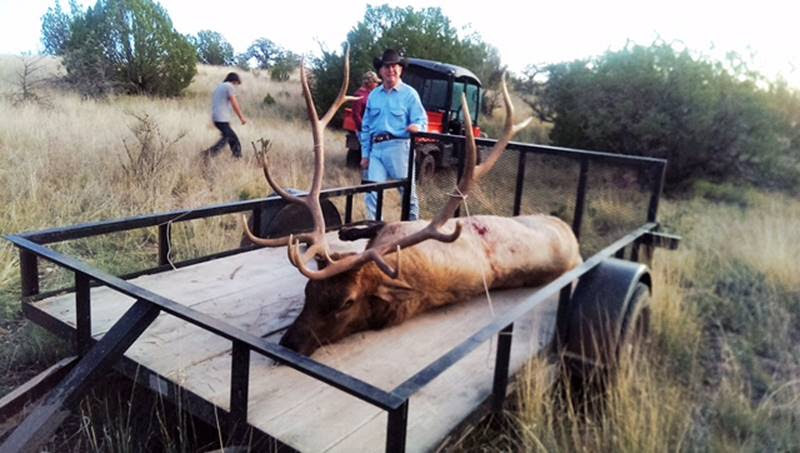 FLY TO ALBUQUERQUE FOR ALL HUNTS Muzzleloader and Archery hunts for Elk. 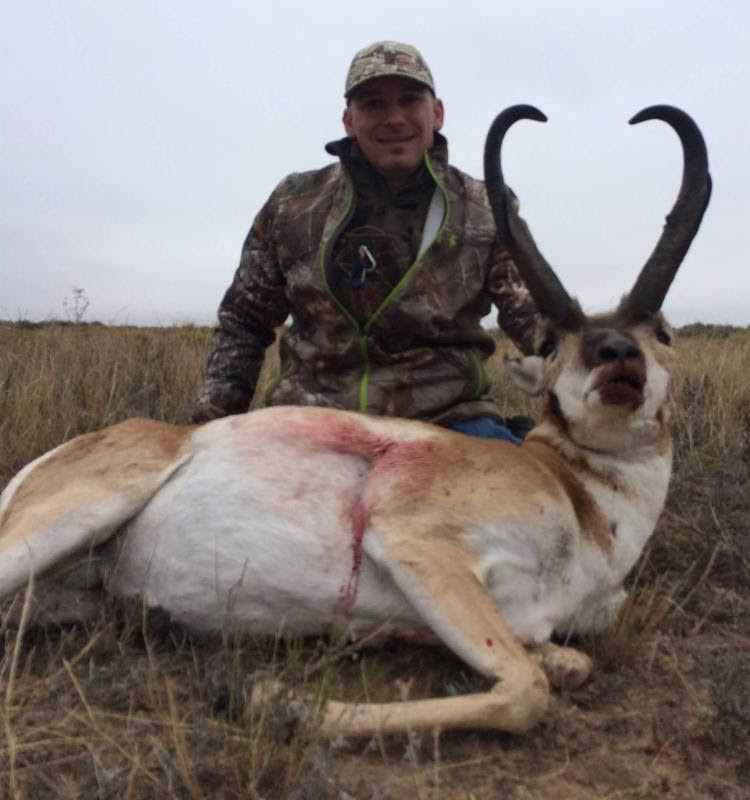 Rifle hunts for Mule Deer and Pronghorn. (1) Unit 10 (near Grants, Gallup, and Black Rock). You will be met and driven 2.5 hours. This is an unrestricted, unit-wide hunt. Transportation, motel 1x1 guide, and all meals included. 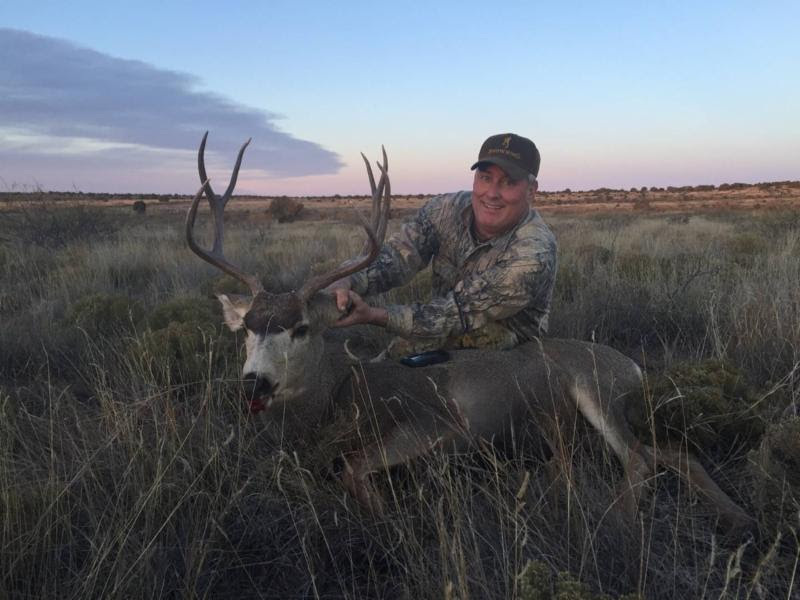 Muzzleloader: Oct 7-11, 2017. (2) Unit 17 (near Magdalena). You will be met and driven 1.75 hours to a beautiful 7,000 square foot lodge with an executive chef. Transportation, food lodging and 1x1 guide included. Muzzleloader: Oct 14-18 or 21-25 or Nov 18-22, 2017. Archery: Any 5 days Sept 1-15, 2017. (1) Unit 17 (same lodge and chef as for Elk). November 4-8 or 11-15, 2017. (2) Unit 39: about 1.75 hours to near Santa Rosa. "Camp" is a 3,000 square foot ranch house with executive chef. November 4-8 or 18-22, 2017. $4,000, sales tax included, + $65 non-resident hunting license and $297 non- resident tag. Three choices with the outfitter they call Mr. Pronghorn (which used to be Lad's title along with Mr. Mule Deer): August 26-28, September 1-3 (SOLD OUT), and September 8-10, 2017. Food, lodging, and 2x1 guide included, as is transport from Santa Rosa.